No other small city in the world is quite like Orrville. Its difference comes from its particular blending of geography, history, and human personality. We're a small community by population, but our thinking and industriousness are on a large scale. The Citizens of Orrville are very supportive of their schools, businesses, and the many organizations in our city. 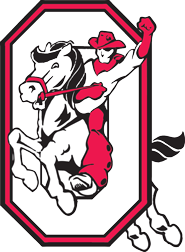 Orrville City Schools strives to provide excellent academic opportunities while recognizing the value of athletics, the arts and extra-curriculars. In doing so, we base decisions on what is best for the whole child - cognitively, socially, emotionally and physically. Orrville City Schools is comprised of a beautiful cohesive campus with an elementary for preschool to grade 4 (opened in 2010), middle school for grades 5-8 (2008) and a high school (2013) - all surrounded by exceptional facilities, including a state-of-the-art auditorium, multi-purpose training center, turf field and seamless access to Orr Park (outdoor pool, courts, fields, pavilions, etc). Every classroom is equipped with interactive whiteboards and multimedia technologies, including amplification systems. With this collaboration, meaningful partnerships have been formed, of which several are linked below. In addition, parents and community members have committed selflessly to numerous volunteer opportunities within the schools. Whether for OrrvilleReads, PTO, Junior Achievement, Booster Clubs, field trips or classroom aides, hundreds of hours go toward the benefit of our children. The Board of Education and Administration has committed to keeping class sizes reasonable. Rarely will a classroom beyond 26 be found in the district. A recent initiative has ramped up access to student Chromebook devices. One-to-one is currently available in grades 5-12. Additional carts at the elementary provide approximately 1 for every 3 students. The College Academy provides eligible college credit plus students over 40 courses taught by qualified adjunct faculty. University of Akron Wayne College provides these courses not only at OHS but also on their campus in Orrville. Stark State offers a business and entrepreneurship pathway via a state-of-the-art interactive distance learning lab. Students graduating from Orrville High School typically follow these pathways: 55-60% post-secondary education/training, 35-40% career placement/on-the-job training and 1-5% military. Collectively, graduating seniors typically earn close to half-a-million dollars in scholarships.